BEACH BUNNY by fashion designers Irina Shayk and Angela Chittenden, presented by VEET at CABAÑA GRANDE on the runway at Mercedes-Benz Fashion Week Swim 2014 in Miami, July 19, 10PM. The crowds of people fill the tent, the covering is pulled off the runway, music plays, and the show begins! This collection of look books capture the collections of the thirty three runway designer shows presented at Mercedes-Benz Fashion Week Swim 2014. Bra-sized, foam-lined underwire cup swim tankini, 3 column, 2 row hook and eye back closure. Stretch microfiber, Fully adjustable stretch straps. Coco Reef, Style Number: UX9718. 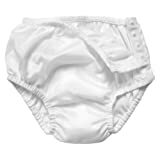 Fully lined swim bottom with fold-over waistband, Stretch microfiber. Low, 5 inch rise, . Coco Reef, Style Number: U94033.